A WebmasterWorld thread has the normal complaints from Google AdSense publishers - complaints about earnings are down, revenues are dropping and it getting harder and harder to make money with the platform. But yet, there are plenty of publishers doing just fine on the platform - many of you read this site. In any event, I wanted to do an anonymous poll, asking you guys, forget about your traffic, if you get more or less traffic than a year ago. But based on the cost-per-click, are you earning more, less or the same per click on average, than a year ago today? 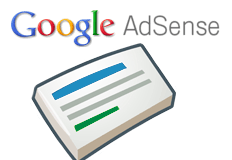 Are You Earning Less Or More Per Click With Google AdSense? Please have your friends and colleagues come here and take it as well. Previous story: Google's E-Commerce Update: Was Last Week's Search Tweak E-Commerce Focused?